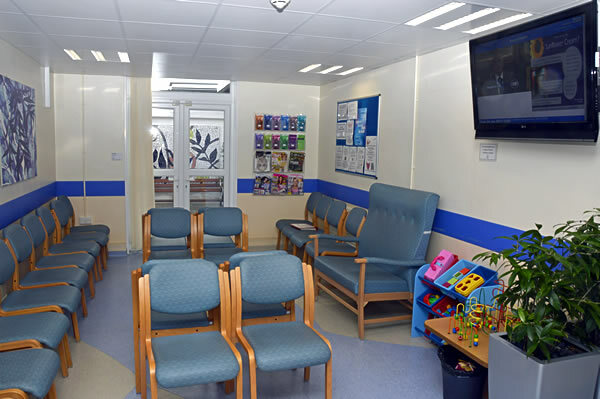 I've chosen this specific photo of an NHS waiting room - a connected row of blue chairs on a blue floor - as this is what comes to mind when I think of an NHS waiting room. More NHS chairs, and blue again. They are different to the other chairs in the gallery, suggesting that though uniformity in the single space is clearly important this does not extend across the NHS. On the other hand, the use of blue once again, raises the question of whether this is the dominant colour for the NHS and how far back this extends. What’s also striking about these linked chairs is how close together it places the people of the NHS waiting rooms.